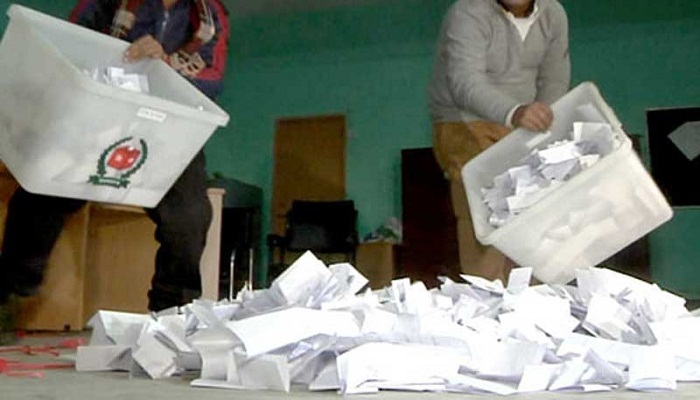 The counting began as voting in elections to 117 upazila parishads ended on Sunday amid allegations of vote rigging and irregularities. The voting of the third phase of the local body polls began at 8:00am and ended at 4:00pm. Earlier, the Election Commission has suspended voting at all centres of Katiadi upazila following allegations of huge irregularities in the elections. In another incident, a police constable and a man sustained bullet injuries as miscreants attacked and opened fire at a polling station in Chandnaish upazila of Chattogram on Sunday morning. Since the BNP boycotted the election, one-sided polling is going on. Voter’s presence was very low. Incidents like collision, polling boycott and filling the ballet boxes at previous night caused suspension of polling in some centers. According to Election Commissioner (EC), 340 chairmen, 584 vice-chairman and 399 women vice-chairman are competing in this election. Some 55 candidates won the election unopposed. Among those, 33 are chairman, 9 vice-chairman and 13 women vice-chairman.